The spired Theatres Building has a more than a touch of ‘80s audacity. We’re willing to excuse that and the ‘okay’ accessibility in light of its unwavering commitment to the performing arts. The Theatres Building is one of three complexes that make up Arts Centre Melbourne (the others are Hamer Hall and the Sidney Myer Music Bowl). Its famous spire is designed to look like a ballerina’s flowing dress. Inside, it’s unashamedly razzle-dazzle — red carpet, black mirrored walls and enormous brass columns. It opened in 1984, built on plans approved in 1960. Accessibility is an after-thought, but has been integrated fairly well. There are three main theatres — the State Theatre, Fairfax Studio and the Playhouse (see below for details on all three). There are also smaller stages, bars and gallery spaces sprinkled throughout the luxe, labyrinthine interior. All are wheelchair accessible. The main entry on St Kilda Road is step-free and will bring you in to level 6 (most of the building is built in the rock below street-level). There are rows of red-carpeted stairs everywhere, but lifts service all floors. There are also well sign-posted accessible toilets in all main areas. Dressed in black and floating around the box office are ‘access ushers’ — designated to help those with mobility issues. These happy, helpful souls will push, guide or direct you to the appropriate door for your allocated seat. The plush carpet resists easy rolling, so this may be helpful. Also on level 5 is a cloak room, an accessible toilet and a café. Allegro café is in the Smorgon Family Plaza and offers salads, wraps, pastries and beer and wine. The first three seats – pictured bottom left of this image – are allocated wheelchair seating (Row GG - State Theatre). View of the stage from accessible seating (Row GG - State Theatre). By far the biggest space is the State Theatre, seating 2077. 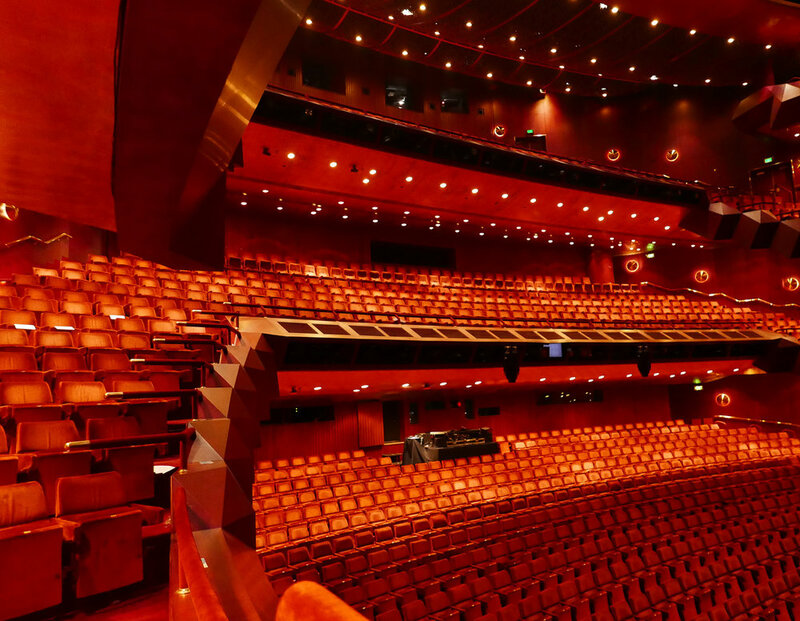 A wheelchair users ticket to this grand theatre will likely put you in The Circle, on the right or left of the stage (row GG). You can use the help of an ‘access usher’ or find your own way to door 3 or 4 (the door number is marked in the top right of the ticket). The space isn’t specifically designed for wheelchair users (see photo below) but you’ll be comfortable enough. Patrons can transfer to a seat or stay in their wheelchair. These are not the best seats in the house, but they’re far from the worst. The angle from the seats means one corner of the stage is ever-so-slightly obstructed, but you’re otherwise close enough to see the performers’ expressions. You can see the elaborate gold paintwork on the huge red curtain before it rises to applause. If your show includes an orchestra, you’ll probably have a good view into the pit and the secret dynamics behind the breathtaking sound. Dressed all in black with expensive, elaborate instruments are musicians at work. Distracted, you might ask yourself — does the tuba player get paid the same as the piccolo? Where do they practise — surely not at home? 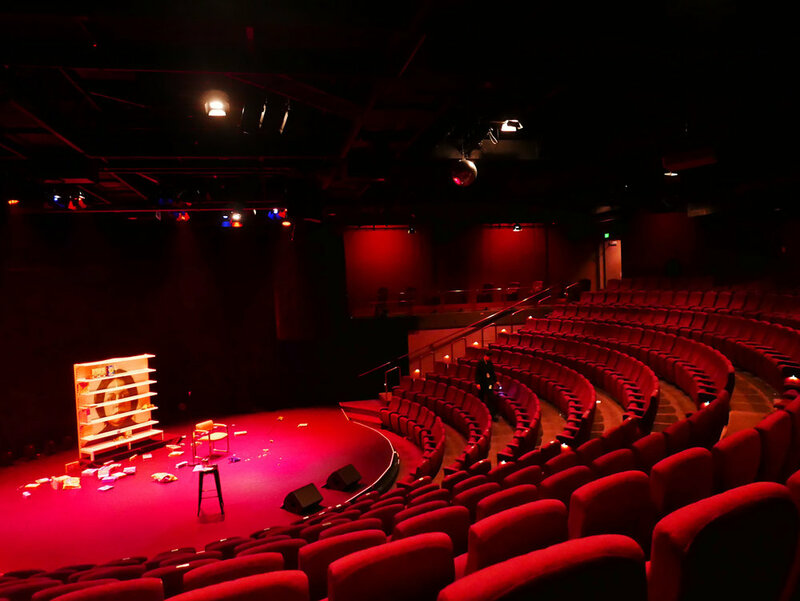 Some of the smaller, more intimate performances take place in the Fairfax Studio, where the red folding seats arc nearly 180 degrees around the stage. It’s located on level 3 (below street level) and is a 376-seat space. 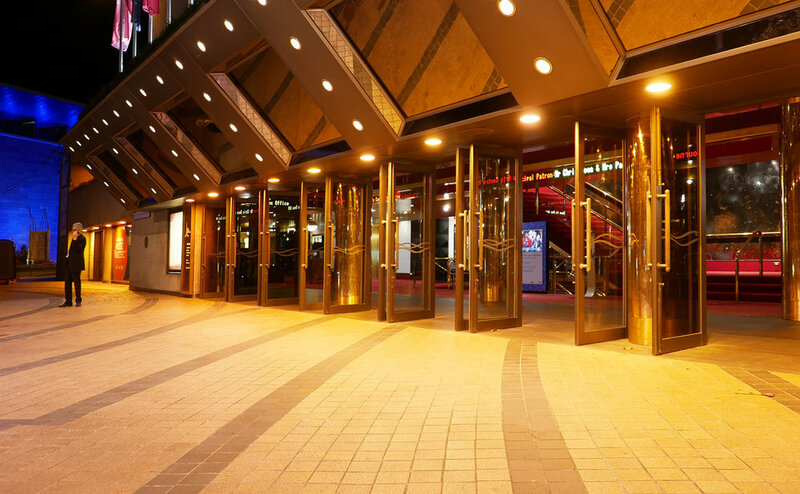 To get here, you can use the ‘access ushers’, found near the Box Office on level 5, or you can take the lift to level 3 and exit left into the mustard-coloured hallway, which opens up to the Fairfax Studio foyer. Here, the carpet, leather seating and walls seem in camouflage — all the same shade of brown. Built into one wall is a bar for snacks and drinks. Comfortable, square leather seats are set around glass coffee tables and circular pylons. Once the PA system announces the venue is open, wheelchair seating is though door 1, to the left of the bar past the portrait of Clive James. There’s a gentle slope from the doorway to the back-row, where a few seats have been removed to make way for wheelchairs (row J). (Armrests prevent transferring to a seat — unless your mobility allows it.) The position affords a good view of the whole stage and offers an easy exit when the show’s over. There is an accessible toilet behind the mirrored walls near the lift. Tiered seating of the rehearsal room. Configurations change as needed. Signs are a reminder you’re literally behind the scenes. On level 2, in the depths of the building, and used occasionally for performances is the Rehearsal Room. This is usually the territory of actors, directors, crew and the like. There’s no public access to Level 2 so an usher will bring you to the roughly 80-seat theatre (seating configuration depends on the performance). The wheelchair allocated seating is at the front – perched slightly forward of the scaffolded, tiered seating. There are no accessible toilets nearby. If you happen to have tickets to a performance here, you’ll be guided swiftly through secure doors past stage sets and down hallways lined with ‘green rooms’ and technical storerooms. At one point, you’re only metres from another stage, and will be told to pass quietly if a show is on. View from wheelchair allocated seats, Playhouse. Inner corridors — backstage passages towards Playhouse allocated seating. 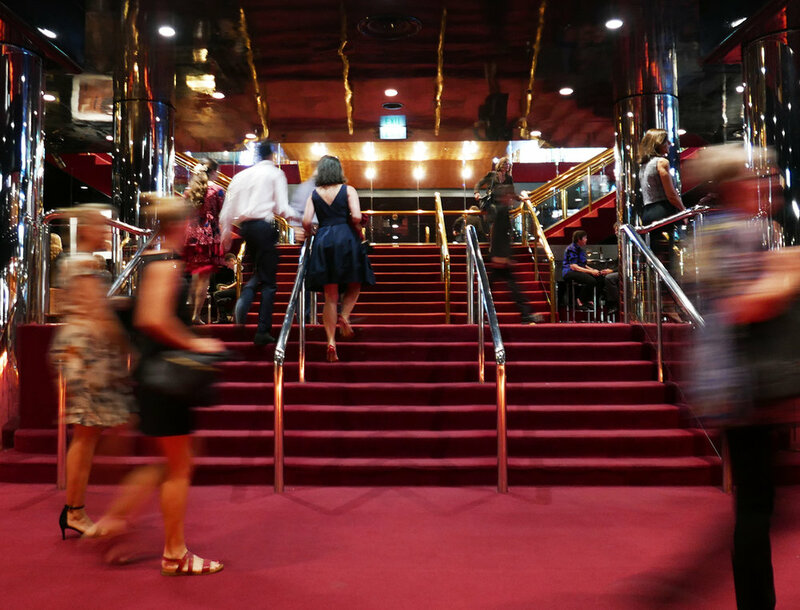 Accessing the 884-seat Playhouse you’ll follow an ‘access usher’. Green lift doors with exit you on level 2 in front of locked glass double doors. Stuck to them is a note — ‘Do not slam door – performance may be in progress’. Passing through them, everything says your backstage — the stacked plastic chairs lining the hallway, the signs pointing to Stage Management and the occasional open door peeking through to illuminated mirrors and rails thick with costumes. Further past the rows of lockers on durable flooring and a backlit sign asking for ‘Silence’, you’ll be escorted through a side door to your wheelchair allocated space in the theatre. There isn’t a seat but a space you’ll occupy — no transferring needed. Location-wise, it’s not a bad spot, about 10 metres from the stage and seven rows back. Before the production begins, stragglers make their way to the front seats, they’ll pass in front with ample room. Once the beige fold-down seats are full and the lights dim, the show begins. When the show’s over the exit process is uncrowded and swift — taking the same route in reverse. You might overhear, through a change-room door, a star’s critique of the show. We did and we agreed with the positive review. The Amplifier, Australian Music Vault (Gallery 1). Posters cover a wall of the Australian Music Vault (Gallery 1). Seminal moments in Australian music history are explored at the multi-sensory Australian Music Vault. Located near the ground-level entrance on St Kilda Road, it tells stories of the past, present and future through video, iconic posters and clothing, instruments and, of course, audio. 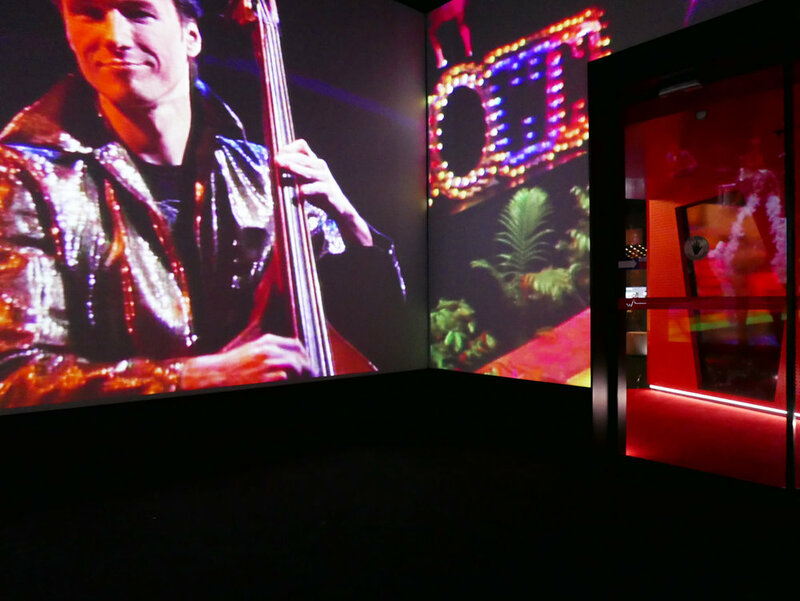 Get close to the stage in the ‘Amplifier’, an encapsulating video experience that transports you to moments in music history. There’s also posters, clothing and music ephemera donated by stars including Kylie Minogue, Archie Roach, Molly Meldrum and Tina Arena. It’s a great sketch of our music scene, and completely accessible, with accessible toilets nearby.